20% Off a Complete Fire and Surround Package! Winter is finally leaving us but it has been a long, cold haul. Now is an ideal time to consider replacing your current fire with a new, super-efficient and reliable model and HECAS have a wide variety of options for you to choose from. Here we offer a guide to choosing the best fire for your home. 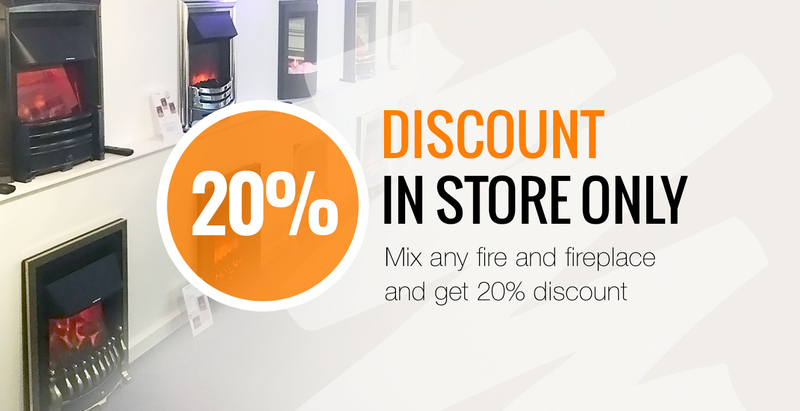 For a limited time, visitors to our Rochdale & Morecambe showrooms can save a massive 20% by combining the purchase of ANY fire, fireplace and surround! This discount is available INSTORE only and our expert team will be on hand to help you make the best choice for you. Our range of fires has something to suit every taste, budget and spatial requirement. After reading our guide and deciding which is the perfect type for you, visit our dedicated product sections - Gas Fires, Electric Fires and Solid Fuel Fires - to discover our professional collection.